The case, in ceramic plasma treated, measures 44.2mm x 16.2mm. 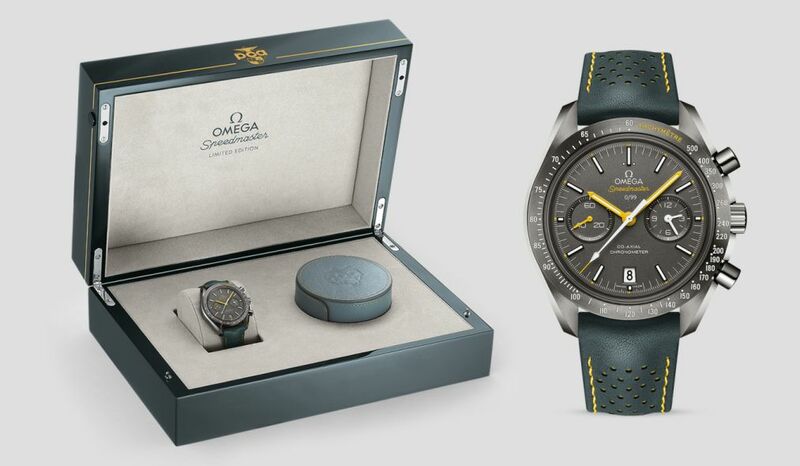 It has double AR-coated sapphire crystals, Transferred yellow PCA logo, and it is water resistant to 50 meters. Polized ceramic bezel with SuperLuminova yellow tachymeter scale. 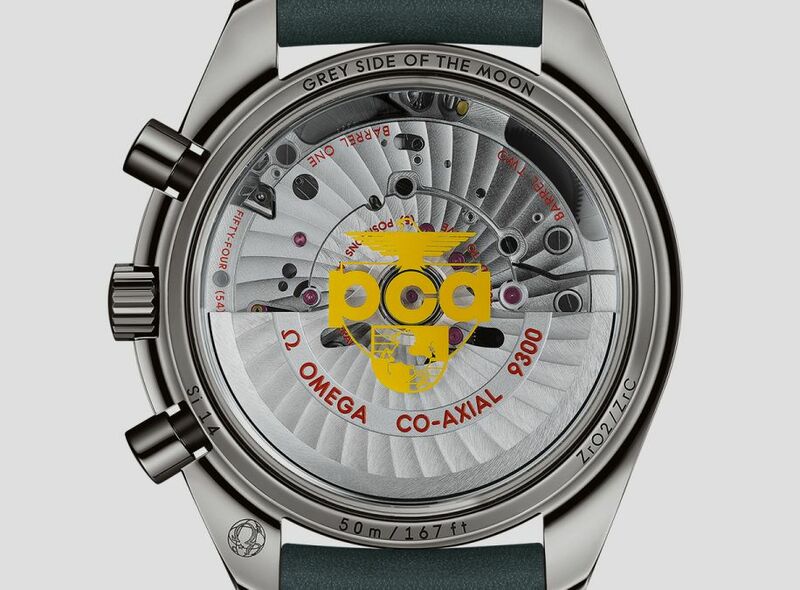 Movement is the Swiss automatic Omega in-house co-axial caliber 9300 with 54 jewels, 28,800 vph and a power reserve of 60 hours. 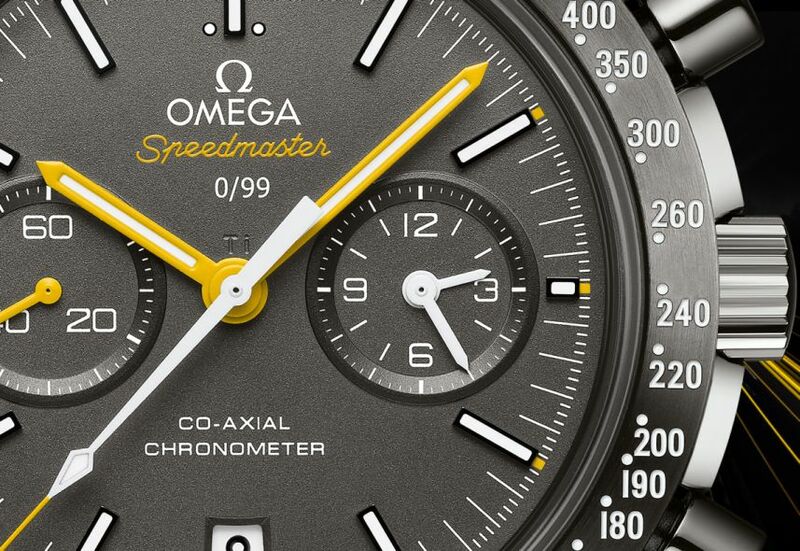 Officially certified as a chronometer chronograph. This column wheel chronograph features a Silicon balance spring, a free sprung-balance and co-axial escapement. Nivachoc shock protection. Rhodium-plated rotor and bridges, Geneva waves in Arabesque, blackened screws, barrels and balance wheel. Ceramised titanium dial; applied blackened indeces. 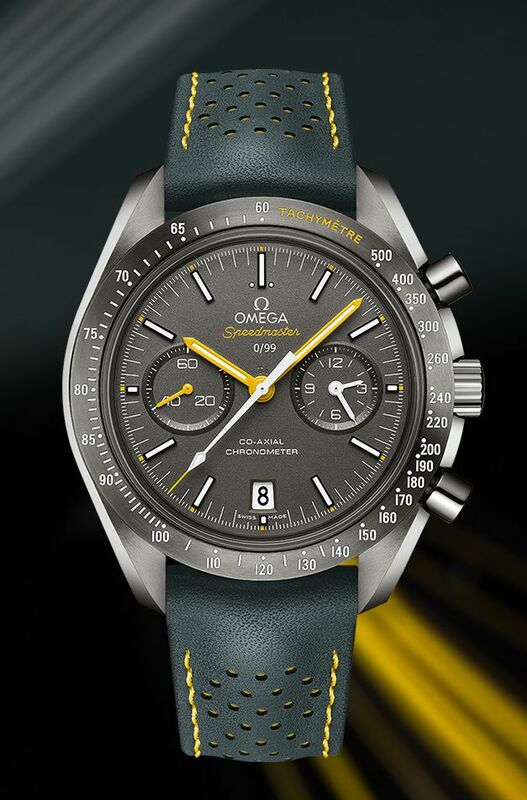 "Speedmaster" in yellow. Varnished yellow hour-minutes hands and small-seconds at 9 o'clock. Varnished white central chrono seconds hand with yellow tip and counters at 3 o'clock. 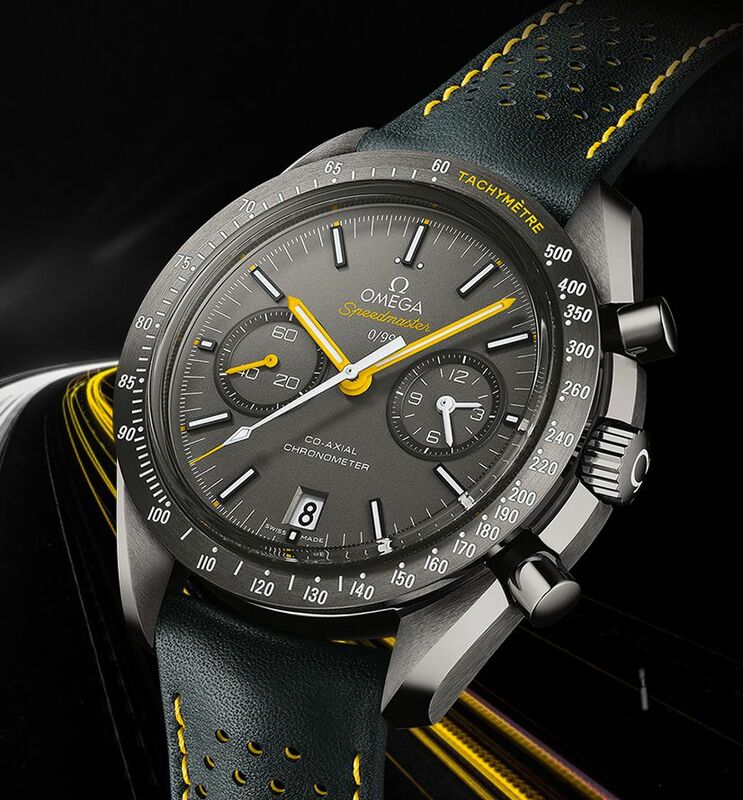 It comes on a 21mm grey leather strap with micro-perforations revealing yellow interior rubber with yellow stitching and yellow lining with grey stitching. Titanium buckle. It is delivered in a special presentation box. MSRP is $12,911. Available December 2017.